Why Are My Teeth Sensitive to Sweets? 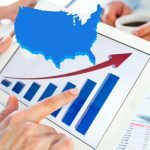 Home / Articles / Why Are My Teeth Sensitive to Sweets? Who doesn’t enjoy a nice dessert or a piece of birthday cake on a special occasion? Candy and sweet foods are a much-beloved part of our diet and are consumed by many on a regular basis. So, if you have started developing sensitive teeth every time you eat those sweet foods you love so much, you might be quite concerned. 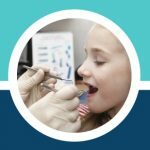 Fear not, we can investigate the causes and potential treatments for tooth sensitivity in this blog to get you back to sucking on lollipops and eating ice cream. The first step to figuring out why your tooth may be sensitive to sugary foods is to understand the anatomy of a tooth. The hard external layer called the enamel, which we see covers up a complex system that is made up of several layers. Under the enamel is a layer of hard tissue called dentin. This dentin is the buffer between the external enamel and the sensitive nerves and blood vessels in the pulp of the tooth. Sensation is passed from the enamel to the nerves through the dentin. This tissue is comprised of tiny tubes which pass on feelings of cold, heat, pressure and other sensations. If the tooth is in normal shape you should not be having any sensitivity to sweet food. Once the dentin becomes exposed, however, all bets are off. 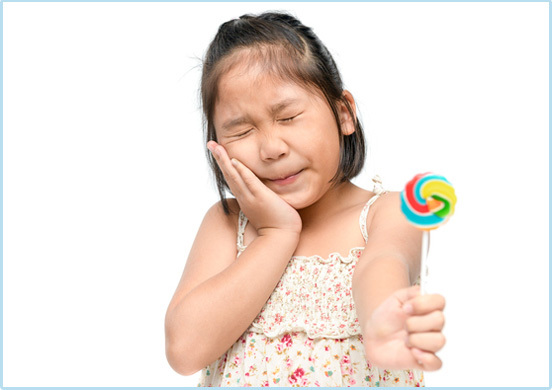 Usually, if a tooth is sensitive to sweets it is also sensitive to acids and extreme temperatures. This is because the dentin perceives all of these sensations as a shock and sends this information to the nerve, registering pain. Dentin can only be exposed due to some form of damage to the enamel. There are several ways in which this might happen. If you have developed sensitivity to sugary foods in one or more teeth then one of these causes is the likely culprit. The enamel on our teeth can wear away over time for many reasons. Some people grind their teeth at night and end up having sensitivity in one or more molars as the dentin in these areas is exposed. Wearing a night guard can help prevent further damage if this is the case. Eating sweet or acidic foods can also cause damage to the enamel and wear it away over time if the consumption of these things is frequent. Sweets, in particular, can cause the enamel to erode because the carbohydrates in them interact with bacteria in your mouth to form acid. Cavities are a frequent cause of sensitivity to sweet food. 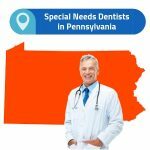 In fact, many people who do not visit the dentist regularly will learn of a cavity in their mouth when they suddenly start suffering from this kind of sensitivity. For this reason, you should never ignore sensitivity if you have not been to see the dentist for over six months. When you go in for regular check-ups your dentist will take periodic X-rays and note in your chart any spots that seem to be weak or at risk of developing into a cavity. They can usually catch and fill cavities before they begin to hurt. But, again, this is only for those who visit their dentist regularly every six months. It may be possible that a cavity which was previously filled has lost its filling or developed more decay around the edges. If this happens, even a regular dentist patient can experience cavity pain when eating sweet food. If you have suddenly developed sensitivity in an area that you have had filled then you should check in with your dentist to see if this is the case. It seems like there is only one way to brush and floss—scrub your teeth all over and then get the floss between each tooth. There is actually a right and wrong way to do these things though. Specifically, putting too much pressure on your teeth and gums is actually a problem that can lead to enamel erosion and gum recession. If the bristles of your toothbrush tend to get bowed outward by the time you replace it then you are brushing too hard. If your gums still bleed from flossing even after a few weeks of doing it every day then you press too hard. Lighten up on both accounts. Receding gums expose the roots of the teeth which are much more sensitive than the naturally exposed portion because they do not have a thick layer of enamel to protect them. You should also switch to a soft bristle brush to prevent scratching your teeth up and do not use a toothpaste that is too abrasive. It is estimated that up to 80% of adults will develop some form of gum disease in their lives. For most of us, it’s gingivitis, which is completely reversible with proper oral care. Though it can be fixed, you still do not want to end up with gingivitis, as it can cause the gums to be sensitive and start to recede, exposing the roots of the teeth and making them sensitive. If left untreated, this can develop into periodontitis, a condition in which the gums actually pull away from the teeth and leave deep pockets that bare the root and even potentially the bone. At this point, sensitivity to sweets should be the least of your concerns. A sudden fall or impact to the mouth, like a sports injury, can result in a cracked or broken tooth. This is a more straightforward reason to have developed a sensitivity to sweets, although a crack is not always apparent. 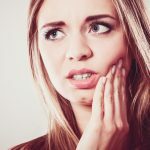 If you have developed a sudden sensitivity and recently had some sort of injury to this area then you should visit your dentist to make sure there was no severe damage that needs to be fixed. You may find some temporary relief from sensitivity by covering the exposed area with dental wax. 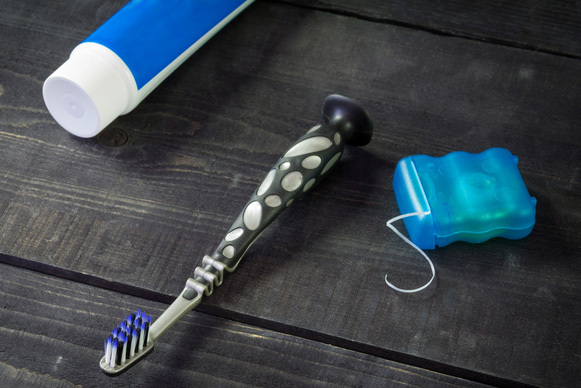 When there is no obvious injury you might want to try adjusting your oral habits and using toothpaste and mouthwash that is made for sensitive teeth. These products work by building up protection for the exposed dentin that can dull or even eliminate the reaction to the sweet sensation. If you have tried several at home fixes for the less nefarious causes of sensitivity but still it persists, then it is time to visit the dentist.